The Lebanon Police Department cordially invites the public to attend a Community Forum on Substance Abuse on Wednesday, January 27, 2016 at the SAU 88 Building. 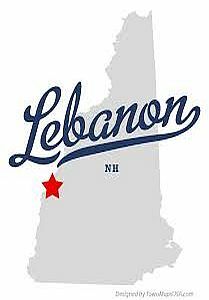 The event is sponsored by the Lebanon Police Department and will focus on the ongoing heroin and opiate epidemic that has been prevalent throughout our community and the Upper Valley region. The forum’s panel will consist of members from law enforcement, fire services, EMS and treatment providers. The keynote address will be given by Dr. Steven C. Atkins, a NH & VT licensed Psychologist who serves on the Board of Second Growth, an organization whose mission is to reduce substance abuse and violence for adolescents. This forum will provide an opportunity for those in our community to come together, learn about the ongoing heroin epidemic and have substantive conversation regarding the impact to our community and what can be done to combat this issue. The forum will be held on Wednesday, January 27, 2016 from 6:00PM to 8:00PM at the SAU 88 building located at 20 Seminary Hill in West Lebanon. Please consider joining us for this important event; all are welcome! For more information please contact Chief Richard Mello at 603-448-8800.